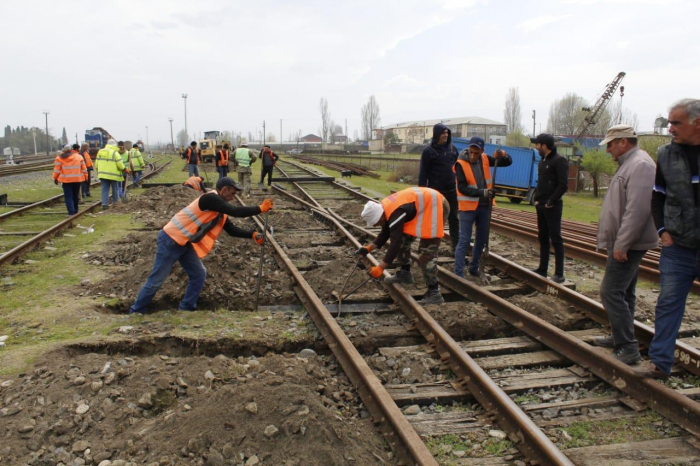 The overhaul of six station tracks and ten railroad switches has begun at Azerbaijan's Astara railway station, Azvision.az reports referring to Azerbaijan Railways CJSC. The length of each of the tracks that form the basis of the station fleet is 950 meters. The overhaul is carried out as part of the work under the North-South project. Considering that in the future cargo transportation in this direction will be intensive, it is important to have a solid basis for transport safety, and thus, the railways management attaches great importance to the matter. The overhaul is carried out by the team of Demiryolservis LLC of Azerbaijan Railways CJSC. Work is carried out in stages and will be completed as soon as possible.